March Madness is full of heartbreak. 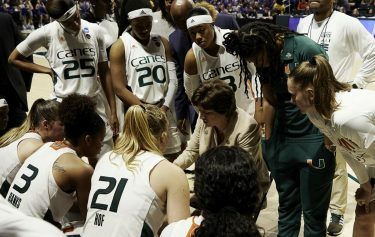 And Sunday evening the fourth-seeded Miami Hurricanes experienced the painful feeling once again, falling 57-55 to the fifth-seeded Arizona State Sun Devils in the second round of the NCAA Tournament at the Watsco Center. With the Hurricanes and Sun Devils tied 55-55 with 10 seconds left, Miami secured a defensive stop and was a bucket away from punching its ticket to the Sweet 16 for the first time since 1992. However, after a timeout, Endia Banks’ inbounds pass was taken away by Arizona State’s Robbi Ryan near midcourt. Ryan raced down the floor and missed a layup with five seconds remaining, but drew a foul from Emese Hof. The Sun Devils’ junior guard nailed both free throws, but Miami was hopeful for March magic. Instead, the month’s misery continued. Hof caught the ball in the low post, spun toward the basket, but her shot attempt clanged off the backboard and danced across the rim before falling to the hardwood, ending the Hurricanes’ dream season. For Arizona State (22-10), the win advances the Sun Devils to their first Sweet 16 appearance since 2015. 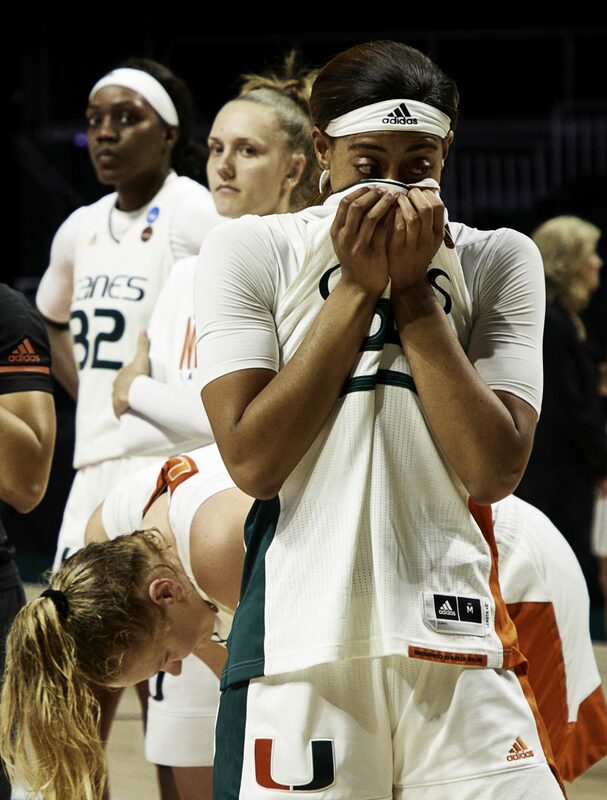 For the Hurricanes (25-9), the loss marks the fifth season in a row Miami has failed to escape the first or second round of the NCAA Tournament. To make matters worse, the Hurricanes had multiple chances in the closing minute to end their 27-year Sweet 16 drought. With the game tied at 55 with 44 seconds remaining, All-ACC First Team honoree Beatrice Mompremier missed a layup under the basket. Arizona State grabbed the rebound, but missed two opportunities to take the lead. UM’s 5-foot-4 guard Mykea Gray, who scored 13 points, corralled the loose ball, but the heartbreak ensued. Mompremier finished with 22 rebounds, the most by a Hurricane in an NCAA Tournament game, but struggled shooting. Mompremier and Hof were held to six points each. Meier credited the Sun Devils’ defense. 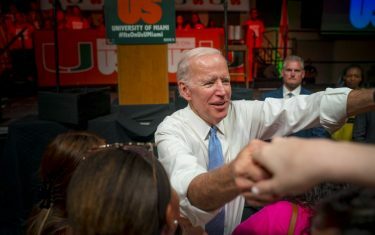 Although the Hurricanes failed to advance past the first weekend of the NCAA Tournament yet again, Miami caps off a magical season filled with huge wins over top-five teams like Notre Dame and Louisville, and plenty of other highlights for the tight-knit group. Even while reeling from one of the toughest losses of her career, Meier took solace in the special impact that this particular bunch, one her all-time favorites, has made on her heart.